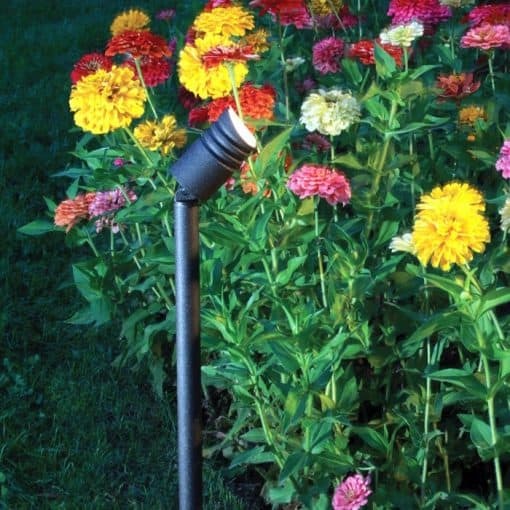 A tiny LED landscape spot light produces 500 Lumens of light output with ease. This compact LED landscape spot light is built on CREE’s second generation XLAMP technology and is highly energy efficient. Features: full angular and rotational articulation, robust construction, and waterproof. DEKOR® has carved out a niche market of producing products that are small in size but large in ability. 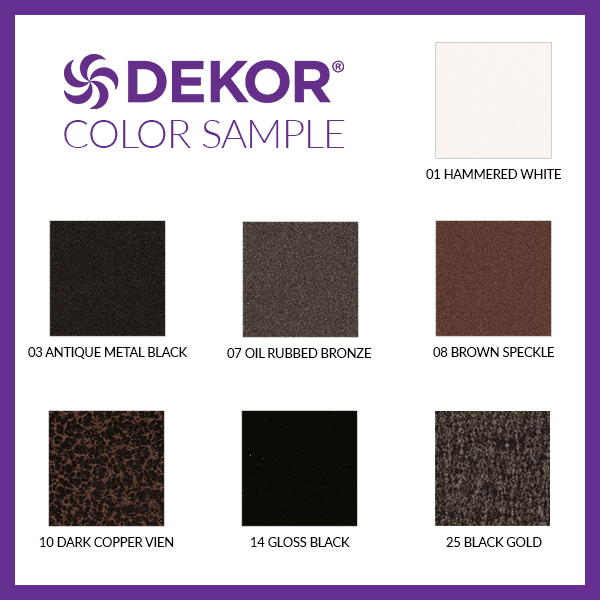 The new DEKOR® Spot Light follows that same philosophy. This light is incredibly small for a landscape spot light. 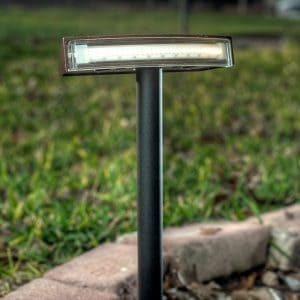 The light’s housing measures a mere 1.7” in diameter and is slightly less than 3” in length making it one of the smallest landscape spot lights on the market. One would not expect this small light to produce 500 lumens of light output but it does with ease. 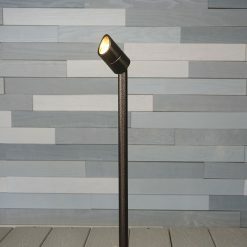 What’s truly remarkable about this light, is that with all that light output it runs virtually at ambient temperature. No other light can make this bold and true statement. Most Landscape lights that produce this amount of light are very hot to the touch almost to the point of a person being burned by touching it. Not DEKOR®’s spot light, which results in a very safe and efficient light to operate. Remember, heat is always wasted energy. Less heat, greater effeciency. CREE XLamp Technology. 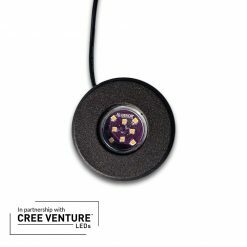 We use CREE’s latest second generation XLAMP technology which has only been available in recent months. With DEKOR® and CREE’s branding partnership we have access to the latest LED technology from what we consider the “best in class” LED innovator. This LED may look like a single LED but is actually a cluster of 82 individual leds on a single chip. 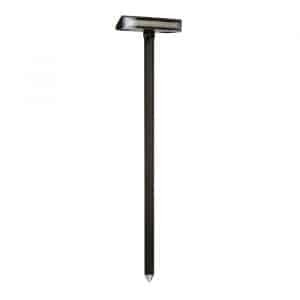 Truly, a feat of engineering LED design now housed in DEKOR®’s new Landscape Spot Light. Full Angular and Rotational Articulation The light housing can articulate a full 130° about it’s pivot point and the housing itself will rotate 45° in both directions further allowing you to put the light where you want it. Energy Efficient. 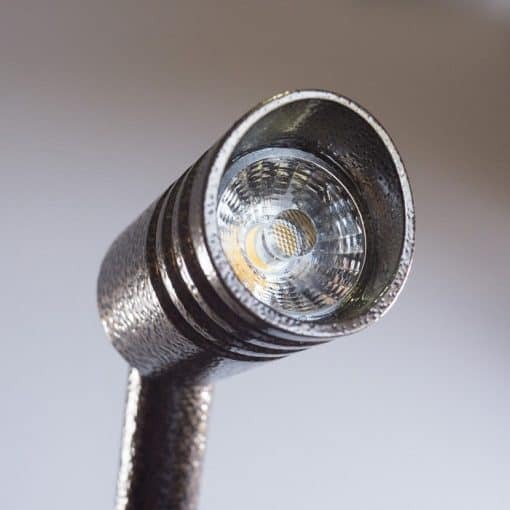 The light is extremely efficient in power consumption as each light comes with a step-up transformer which increases the efficiency of the LED to the point it is drawing less than 670 milliamps of power. This allows you the ability to run multiple lights (6) from a single 5 amp DEKOR® transformer. . Robust Construction. The Spot Light is made from die cast aluminum components which are powder coated in our own facility and assembled using all stainless steel fasteners. We use a high output lens on the light which intensifies and focuses the light. Read more about the technology & performance of our Radiance Light under Features & Benefits. Dimmable CREE LED. 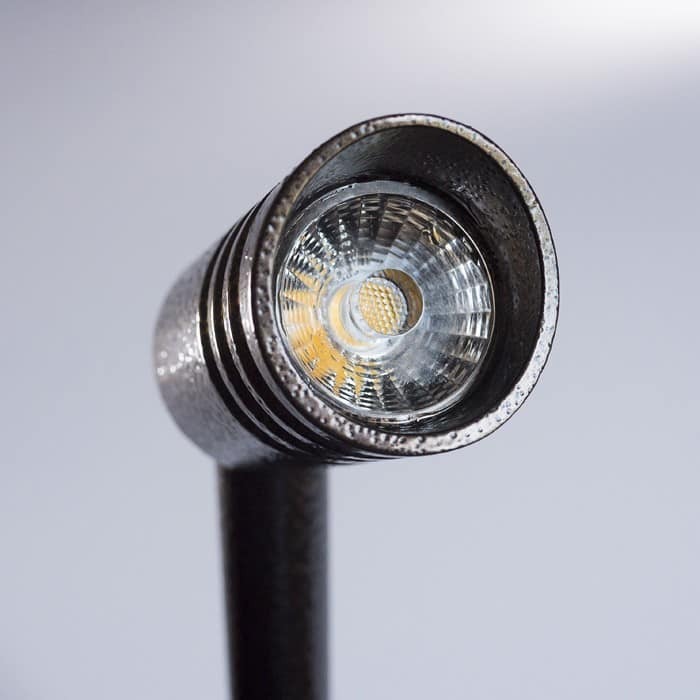 CREE’s high output XLAMP LED is the second generation of what was already a great product. 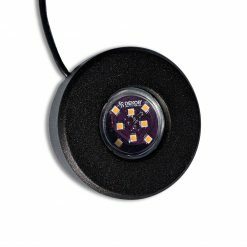 The XLAMP LED is not a single LED but an array of LEDs, giving tremendous light output with a very small footprint. This allows the very small housing diameter that encloses the LED. 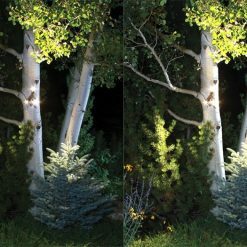 The LED is highly reliable under a wide range of environmental conditions, making them ideal for outdoor landscape lighting use. The DEKOR™ Spot Light is dimmable when used with the water proof EZDimmer. Warm white light. 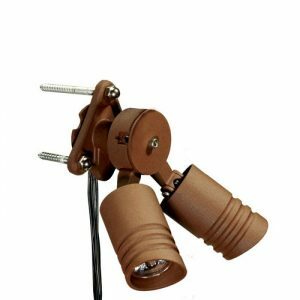 The Spot light casts a natural looking, soft white light and shares the same “warm white” color spectrum (3200°K) as our deck lighting products. Waterproof. The Spot Light is waterproof (IP 65). It will withstand water from sprinkler systems, powerful water jets, as well as the most brutal downpour. Quality and Robustness You Can Feel. The Spot Landscape light has that robust feel that our customers have come to expect from DEKOR™. The housing is made from aircraft grade aluminum with structural welds at key locations and the product has a weight and heft to it, reflecting the solid construction and quality of materials used. 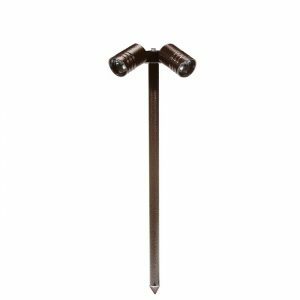 The landscape spike, hinge, and end piece are all built from die-cast aluminum. Rugged, long lasting, and durable. 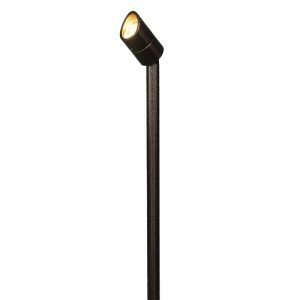 The light has a robust die cast alujminum fixture with a corrosion resistant coating applied before powder coating. UV protection is built into the powder coat formulation, making the finish long lasting and durable. The XLAMP LED is protected by a polycarbonate lens that will not crack or yellow with age. Made in America. 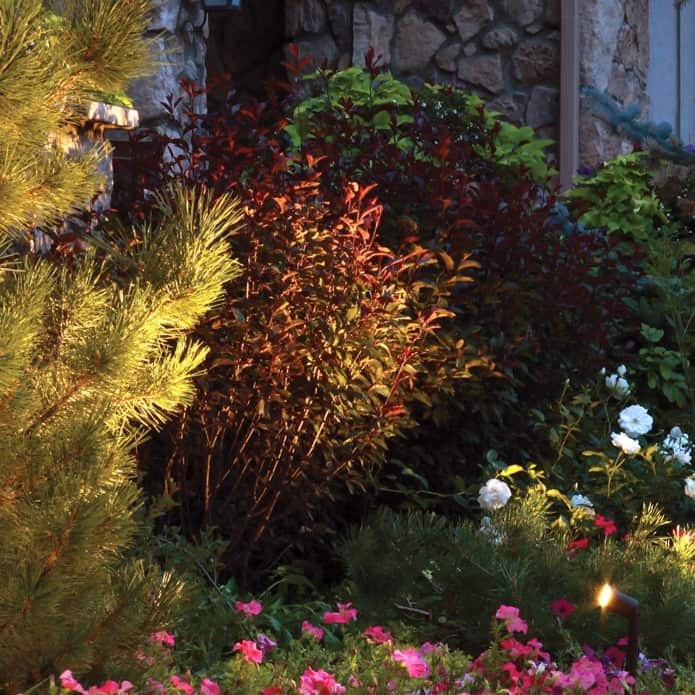 High Output Spot Landscape lights are built right here in Denver, Colorado from the finest components and materials. 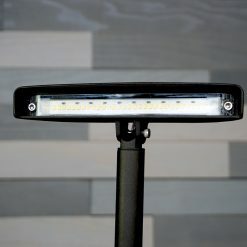 The CREE LED we use is manufactured in Durham, NC and the powder coating is done locally at Mile High Powder Coating. Backed by our 5 year / 30 year warranty. DEKOR™ is extremely proud of our new High Output Spot Light. 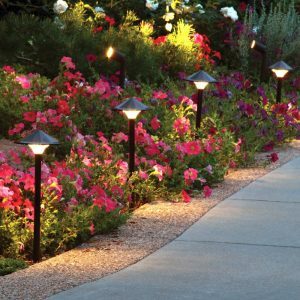 Its name depicts it ability to project a large amount of light from a very small housing while staying virtually cool to the touch which no other landscape light has done before. 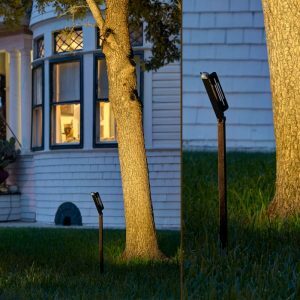 It’s multi-functionality allows it to be used to light a step, a roof soffit, pathways, landscaping or the side of a house, to name just a few of the possibilities. This is one light we highly recommend adding our dimmer too. It took some time to perfect this design as it needed to hit on several fronts that I knew were important to our customers. The unit is waterproof, easily installed, very powerful and efficient, has a 5 year warranty and has that robust feel that our customers have come to expect from DEKOR™. I’m very proud of the final design and how it projects vast amounts of light (500 Lumens). 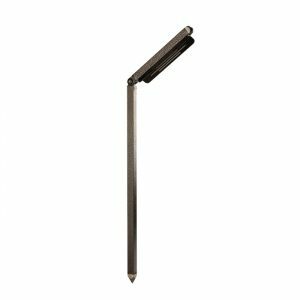 The light has the latest in high output LED technology, CREE XLAMP, allowing unparallel efficiency performance of less than 7 watts of power consumption making this light very stingy on the electricity. Would you expect anything less from DEKOR™’s LED Green Technology? The light’s very smooth color of 3200 Kelvin color combines the softness of white with the warm glow of slight yellow. This is DEKOR™’s trademark color and very few others can or will put this expense into their LEDs.The unit is completely waterproof so whether you orient the light up or down makes no difference to its longevity and makes for a perfect fit in outdoor landscape applications. The housing is made from die cast aluminum which is treated to resist corrosion prior to having a powder coating finish applied at our facility. 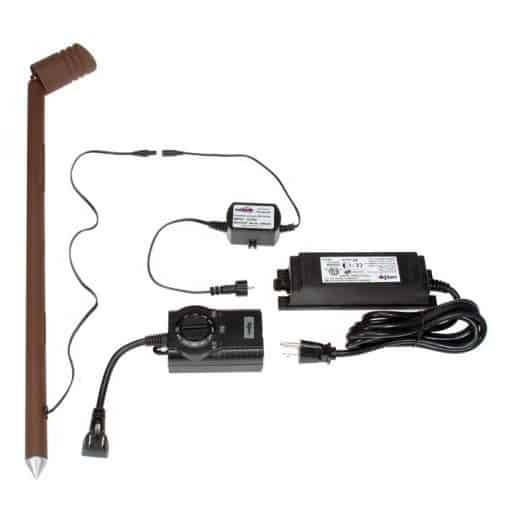 The light has a 6’ all weather electrical pigtail which allows for easy installation and wire termination. 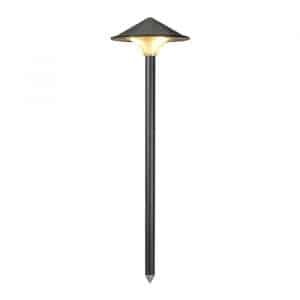 Our landscape light has swivel capability allowing the customer to direct the light where they want it. 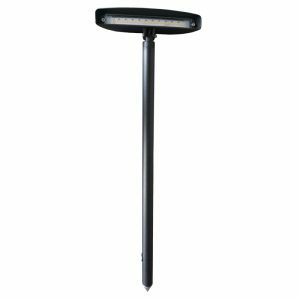 Point the light downwards for walkways or shrubbery or straight into the air for lighting the side of a house. The polycarbonate lens protecting the LED’s is extremely strong as well as being UV stable which means it will not yellow regardless of environment severity. The lens provides a second function of amplifying and condensing the light into the Spot effect you are seeking. NOTE: Wire is not included as each project is unique.